States colored white are "unclaimed", meaning they need someone to volunteer as a trip leader. Learn more in "About: Guidelines"-- maybe you're just the trip leader we need! This state has a climb that is in the planning or operational phases. You can sign-up or follow the progress by clicking the state's name in the column on the right. States colored red have been accomplished! Read the trip report and stories of the Airmen who reached this highpoint by clicking on the state's name in the column to the right. 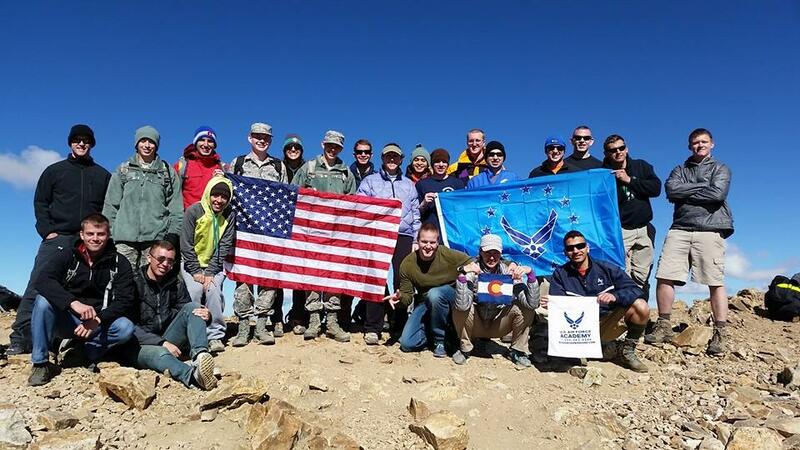 Airmen atop Colorado's highest point. USAF 50 Summits Challenge.